High End power amplifier is the most circuit that searching for Qualiaty Sound and performance its power amplifier. This High End 500W power Amplifier Open Air , the meaning of open air is power amplifier very matching for outdoor sound, that the sound is open to air. So every people can listening on long range. Power amplifier using Transistor Sanken as A Final Transistor the serial is 2SC2922 and 2SA1216. Power Supply voltage need + - 50Volt DC. 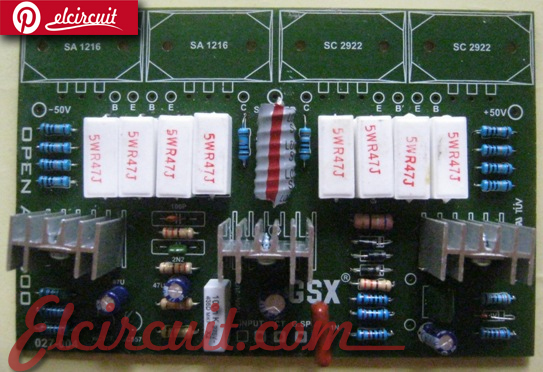 This circuit diagram and PCB Kit for High End 500W power Amplifier Open Air. Circuit power on schematic diagram is mono amplifier, so if you need a stereo power amplifier you just multiple circuit to as you need. For final transistor Q5,Q6,Q7,Q8 = 2SC2922 , and Q10,Q11,Q12,Q13 = 2SA1216. Place the final transistor into alumunium plat cooler. And if you need stereo power amplifier see this diagram for component placement and wiring circuit. What is the value of R12 and L1?.. Photo shows L1 to be 7 turns around R34 (7mm diameter). Similar circuit on web has R12 = 20 ohms so likely that R12 = 6 ohms. You can use BD139 for Q3, Q4 and BD140 for Q9. 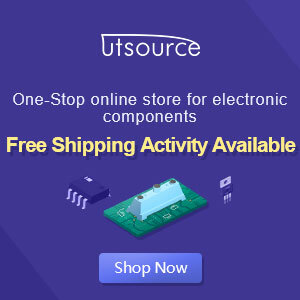 For inexpensive power transistors try C5200 and A1943. If you zoom into the schematic you can see R12 is 68 ohms. Common 5% value. hello sir, do you have a pdf file for this ?